Play the chords of all music instruments! Having trouble figuring out the right chords for your music? 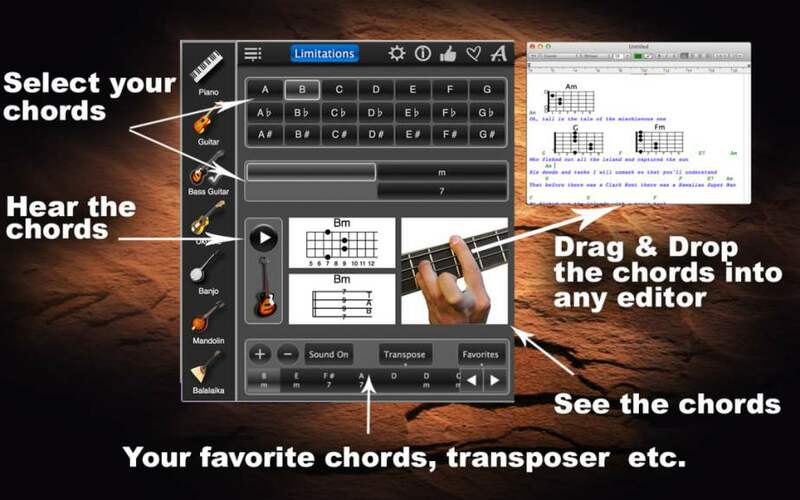 Let Chords Maestro Lite help you! 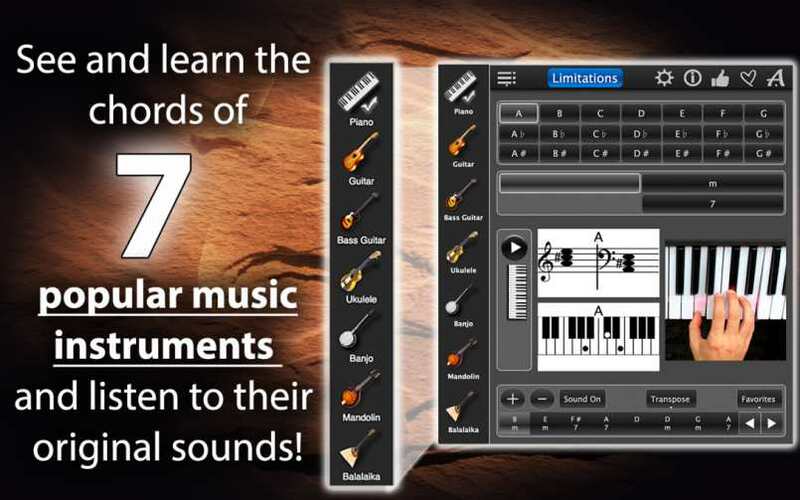 This free app offers chords for 7 musical instruments: piano, guitar, bass guitar, ukulele, banjo, mandolin and balalaika. Select your instrument, choose one of the three types of chords (maj, min and 7 maj) and play it! Chords Maestro Lite will also display instrument-specific music notes or chord diagrams for your chord and will show you how to position your fingers on your instrument to make this chord. Switching instruments is easy. 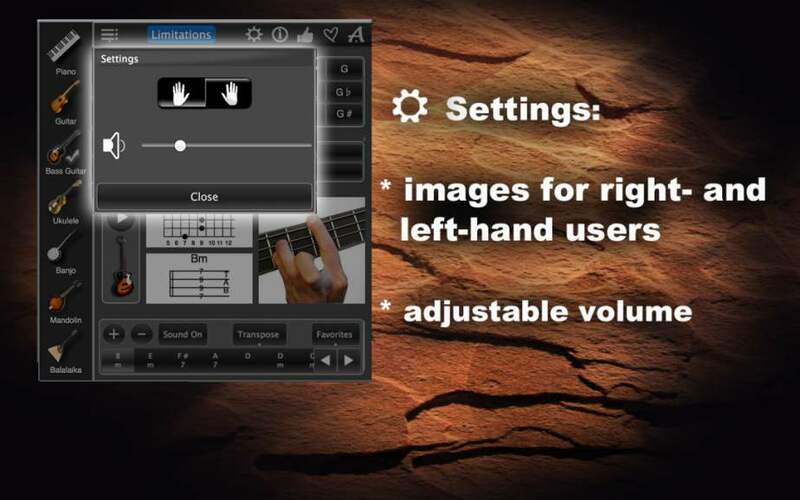 Click on a different instrument, and Chords Maestro Lite will play your chord on a new instrument! Chords Maestro Lite supports both right- and left-handed players, just let the app know your preference in Settings. Also in Settings: adjustable volume. Do you know what instrument you want to try out? Click on its button, then select the key and the type of chord you want to play, and click Play! Chords Maestro Lite will also show you the music notes (for piano) or chord diagrams (string instruments) for this chord, as well as the corresponding finger position on the instrument of your choice. Try out different chords for the same instrument, or click on a different one. Need more chords? 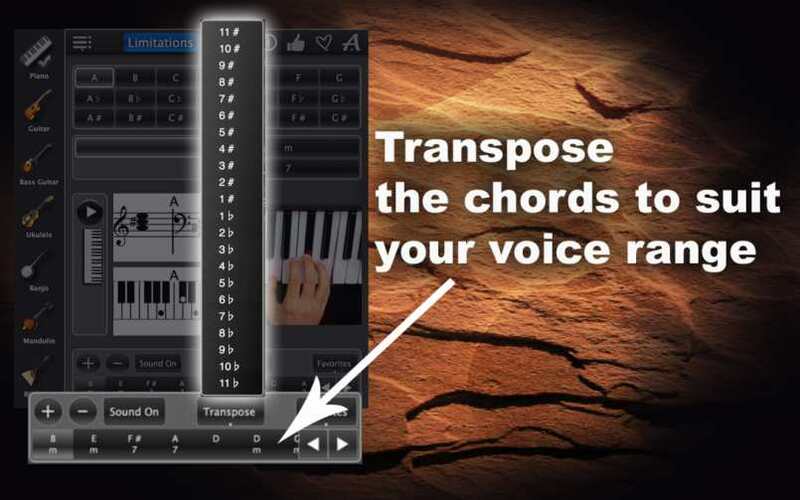 Upgrade to Chords Maestro, the full version of this app. 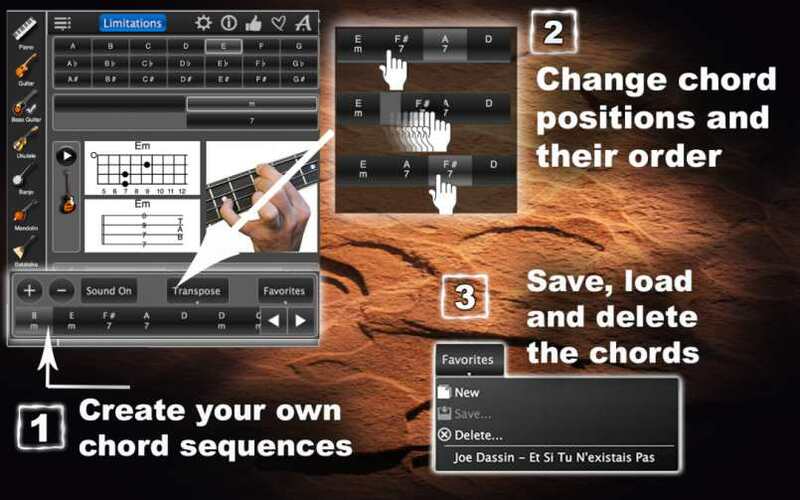 Chords Maestro Lite also allows you to create chord sequences for your practice sessions or your instrumental pieces. Start by selecting your instrument, then choose the first chord of your sequence and click on the plus sign. Select your next chord and click on the plus sign again. Continue adding chords until you have your desired sequence. If you need to change the order of the chords in your sequence, you can easily do so. If you are an aspiring singer, you can transpose your entire chord sequence up or down to accomodate your singing range. Save your sequence in Favorites, if you are planning to use it multiple times. Text als PDF file download.